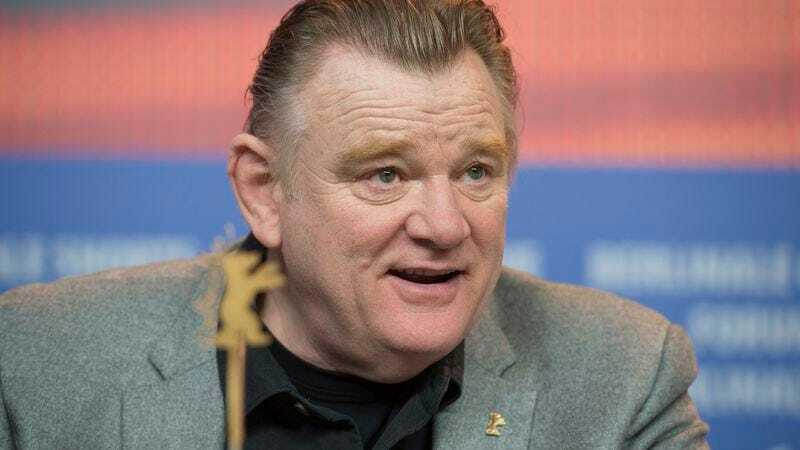 Throughout his career, Brendan Gleeson has been both lawmen and outlaws. But in AT&T Audience Network’s adaptation of Stephen King’s Mr. Mercedes, he’ll star as one of the former. Deadline reports Gleeson will play a retired detective who begins searching for a psychopath who drives a Mercedes into a crowd of people. Harry Treadaway, best known as Victor Frankenstein on Penny Dreadful, has been tapped as the killer. The project, which is being written by David E. Kelley, is filled with recognizable faces, including Mary-Louise Parker, Holland Taylor, and one of Moonlight’s breakouts, Jharrel Jerome. “It’s an extraordinary cast that’s come together,” Kelley said in a statement via Deadline. “To be able to work with an ensemble of such high-caliber actors, led by Brendan Gleeson … this is such a privilege.” Scott Lawrence, Robert Stanton, and Ann Cusack also have roles. Jack Bender—who has directed and executive produced shows like Lost and King’s Under The Dome—is helming the series.